As if anyone needed another reason to adore Prince William's younger brother. On Thursday, Kensington Palace shared Prince Harry's 2015 Christmas card and it proves that the royal family member can't help but be compassionate, even when it comes to a holiday card. As shown below, the black and white image shows Harry standing next to 95-year-old Battle of Britain veteran Tom "Ginger" Neil. Apparently, this is one of Harry's most memorable and favorite moments of 2015. According to the Telegraph, the photo was taken on Harry's 31st birthday, which was also the 75th anniversary of the famous Battle of Britain. Harry was sent to fly in one of the four two-seater Spitfires, but gave his spot to Neil and two other wounded servicemen after learning one of the aircraft's developed mechanical problems. It was important for Harry that these three men didn't miss out on the experience, especially since Neil is the last surviving fighter pilot of the aerial battle against Nazi forces. It was Neil and the other fighter pilots who risked their lives to protect their country who Prime Minster Winston Churchill referred to when he said, "Never, in the field of human conflict, was so much owed by so many to so few." See? 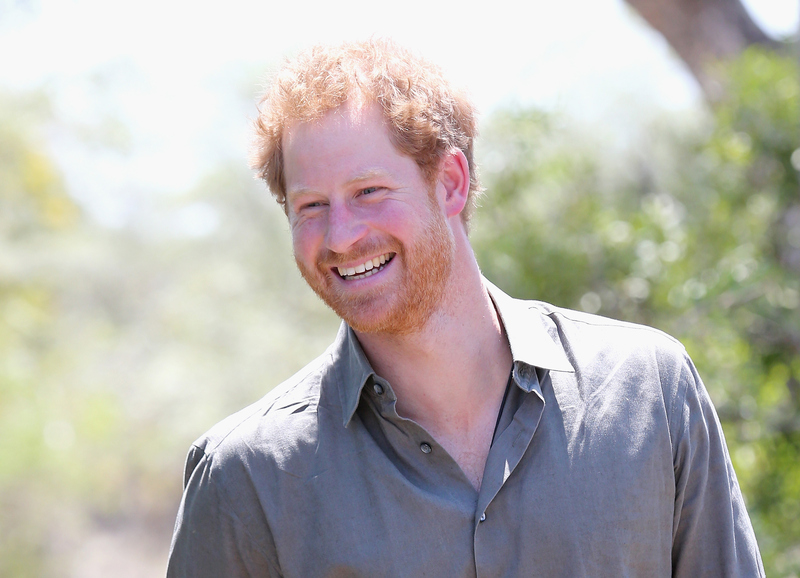 When isn't Prince Harry one sentimental and touching guy. Like Harry, Prince William and Kate Middleton released their 2015 family Christmas photo. Of course, it was beyond adorable and put to shame any holiday photos you may have received from family. When Prince George and Princess Charlotte are featured, there's really no going wrong. Even though Harry's might not be as adorable as his big brother's, there's no doubt his card is beyond touching. Thanks to Harry, it's probably going to become everyone's favorite moment from 2015.